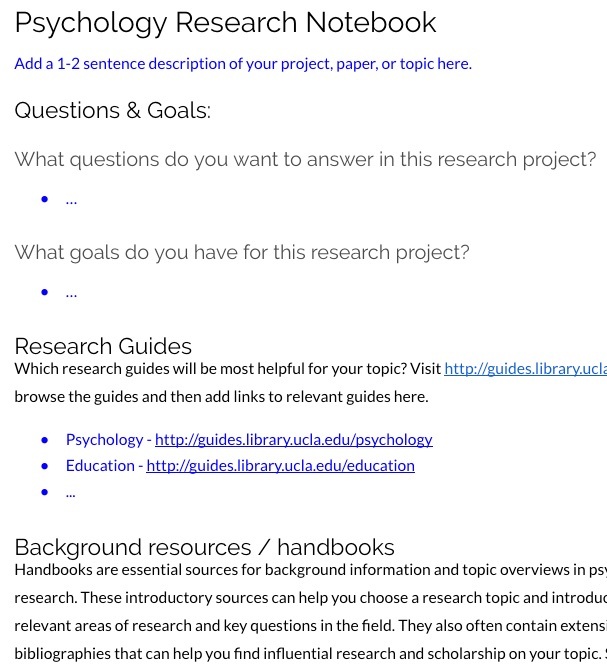 Get your project started and stay organized with our Psychology Research Notebook. This google-docs notebook is designed to help you quickly identify background information, develop your topic, and find key articles and books for your research. For more tips on getting started, see our Resources for Psychology Researchers slideshow. How to access licensed online content from off-campus.